©Barry Sandland/TIMB – I caught this rider in February and ended up discussing the Tour de France – what else when the rider wears this hat. 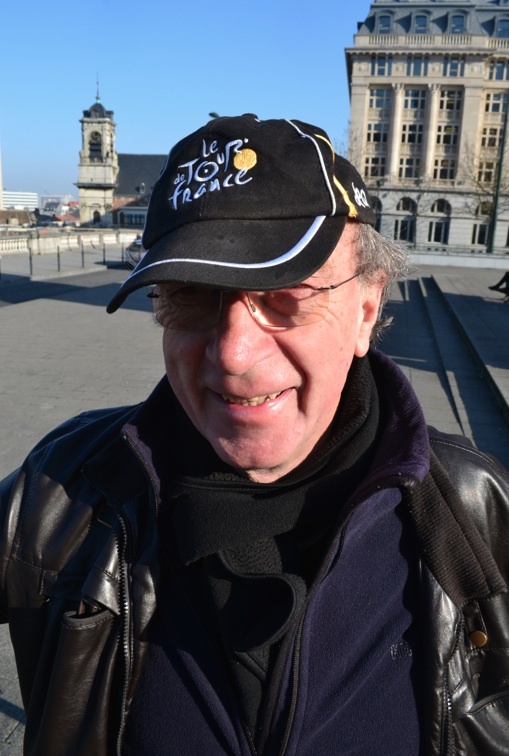 Photographer’s notes: I found this rider way back in February, but he was bedecked in a Tour de France hat and so we had a chat. I held the second image until now so I would have something for the Tour … Blatant manipulation, I am sure. I have managed to see the start of just one Tour de France stage, last year in Ypres. I came away disappointed, but that was an organisational issue, not the Tour. This year, I am wondering if I can get to a small corner of the countryside as they race through Belgium and see the small glimpse of the riders. After that, I will retreat to the local café and watch the last 100 kilometres or more on the TV. I also like the continual coverage and the views of France that drive the daily Tour de France programme. As for the stages, there are many good stages, but the original one is the team time trial over an exceptionally hilly course. It will decimate the teams. Absolutely not to be missed. This entry was posted in city bike, commuter, Europe and tagged 2015, Batavus, July, Tour de France. Bookmark the permalink.